Silicon Valley Shakespeare is enrolled in a wide variety of fundraising programs designed for you to effortlessly, continually support us — at no additional cost to you. They seem small, but they add up to a big difference for SVS. Start today! Programs include eScrip Shares, Amazon Smile, iGive, GoodShop, and Giving Assistant! Shares, powered by eScrip, gives you an automatic contribution to SVS from your grocery shopping, and also an online mall with hundreds of merchants who’ll contribute some of what you spend to us. 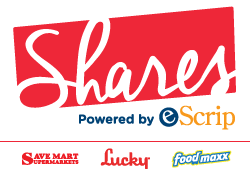 In April, 2016, Lucky Shares became Shares powered by eScrip. If you used a Lucky Shares card to support SVS, thank you! We hope you’ll enroll in the new program. 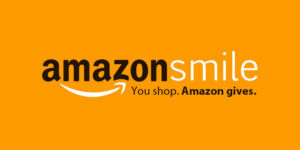 Go to smile.amazon.com. Designate Silicon Valley Shakespeare as the charity you support. Your purchases at over 1,750 online sites can provide a donation (up to 10% !) to Silicon Valley Shakespeare! Single visits: From iGive.com, go to the online store you want. You can designate that visit’s purchase benefit SVS. Automatic: Install the iGive Button. Whenever you visit any online store partnered with iGive, your browser automatically gives you a button to activate for that site. Then your purchase from that site benefits SVS. No need to start at iGive.com. Want great discounts and coupons while a percentage also goes to SVS? Sign up with GoodShop and get all the above. Check out the SVS page on GoodShop. Great discounts, cash back to you, and a percentage goes to support SVS! Check out our page at Giving Assistant to get started.